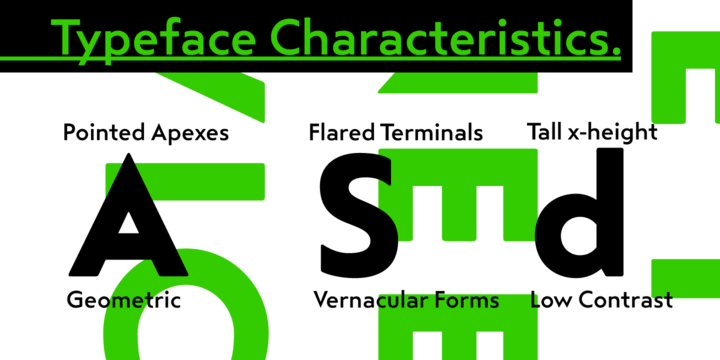 Steagal The typeface was created by a geometric sans serifs lover. The designer fell in love with crispness and rationality of sand serif. The desire to create a font evoking the spirit of printed Futura of the 1940s combined with the hard to pin down quality developed steagal. The designers of this font initially studied Chattanooga’s vernacular lettering. The designer also surveyed Swiss designers who used a brand new, handmade aesthetic that also included a geometric base. The inspiration to generate a new face combining similar influences created the quirky yet stylish typeface.